The passengers only realized the error when the plane landed and the "welcome to Edinburgh" announcement was made. The plane, which started at London's City Airport, was then redirected and landed in Düsseldorf. WDL Aviation ran the BA flight through a leasing deal. 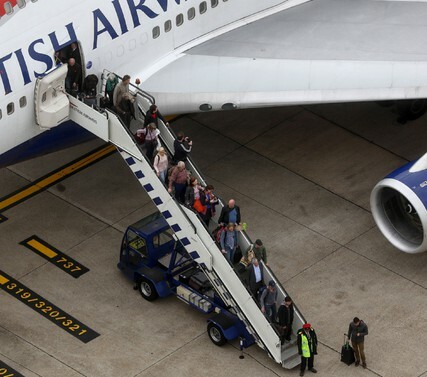 "We have apologized to customers for this interruption to their journey and will be contacting them all individually," BA said in a statement. "The pilot said he had no idea how it had happened. He said it had never happened before and that the crew was trying to work out what we could do." "It became very frustrating. The toilets were blocked and they ran out of snacks. It was also really stuffy," she said.